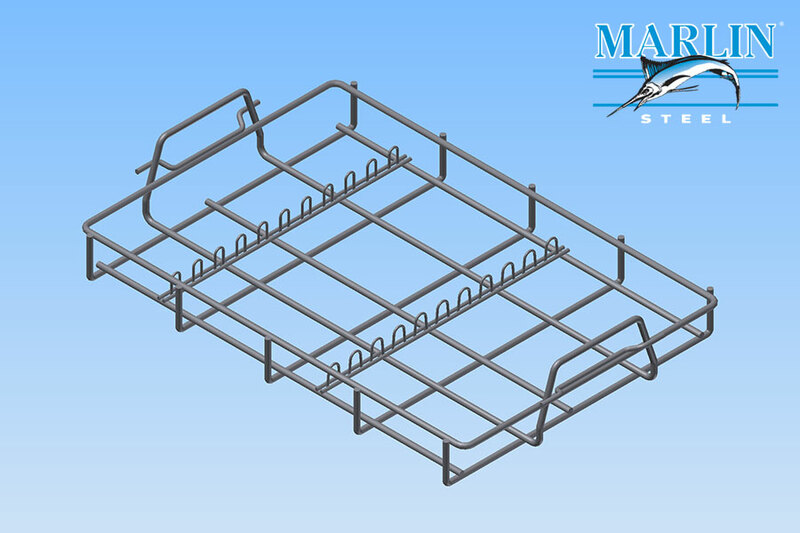 This custom made parts handling basket features a relatively simple design that conserves as much material as possible by using a minimal amount of metal in the frame. Made of plain steel and featuring a large amount of open space, this materials handling basket can hold onto long, thin metal parts easily. In addition, this particular wire basket is designed to stack, with a top basket's frame resting on the handholds of the lower basket. This allows fully loaded baskets to be stacked without the upper basket applying pressure on parts held within the lower one.